the stay lucky: Viva La Resolution! It's thats time of year again folks, resolution time. And while I actively dislike the word resolution, I am feeling rather strongly the need to shake some things up. Resolve, kinda sounds like dissolve, not very positive in my opinion. 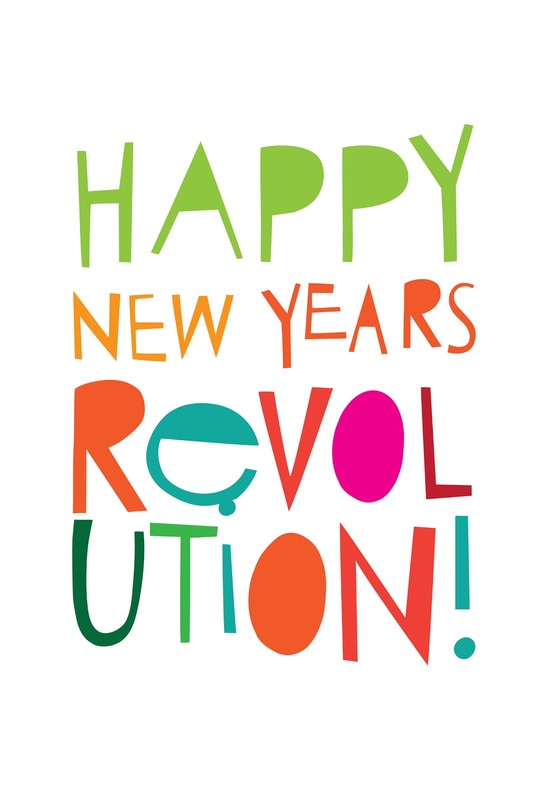 So I have decided this New Years and for the New Years to come, to have a Revolution instead. Much punchier don't you think? Now - I am not going to be out hurling gas soaked bricks through windows or turning over parked police vans, (I do not think that is the best way to ingratiate myself to the community of Orono), but I am going to go through my current life state and figure out what needs to be uprooted and shaken up, and get shaking. New town new habits. First up...finish what you start. A hard one for me, as I usually have no less than five projects on the go at once. My attention span is rather suspect and I am easily distracted by shiny things. Throw in twin three year olds and a gutted house and what you've got is one big hot mess. So, I will be making a serious effort to finish projects. Half done paintings, notebooks full of never started craft ideas, this house, the last clinging pounds of "baby weight" hanging off my behind like a chubby barnacle...you've been put on notice - I'ma com'n for you. Ya got my vote, where do I sign up? kat - you and i share a goal. i joined crossfit for this very purpose...it is so much harder than it looks! and yes, my bingo wings are on notice too! cheryl you are already a good girl no? jenny-jean give me the deets of your revolution! I LOVE the idea of a revolution - mine is to find out what I want to be when I grow up and get going on it! Apparently I'm not a kid anymore (having Aurora sorta brought that one home) and I need to figure out some stuff.